I don't know a lot about sports and am not into sports in general, but I read this. 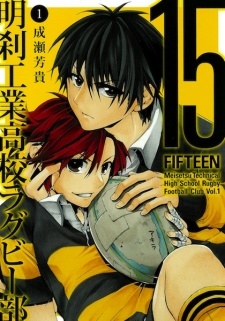 Because I live in America I didn't know about rugby and what kind of sport it was, but when I read this manga I saw the true passion of playing rugby. I thought the manga was amazing the characters were well developed and overall a great read. I wish to read more great mangas like this one in the future.